Der ursprüngliche Titel ist in Französisch. I am not pleased with the translation of the title. Why is it that some foreign films become known in the English world with their original language titles intact, and others are known by translations? This is a rhetorical question, mind you. I’m sure there are particular reasons in each specific case, which may just boil down to what distributors thought would sell more tickets. 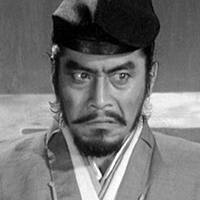 Some movies, like Kurosawa’s Throne of Blood, aren’t even translations, but re-titling. If there were a reason for this, such as that a foreign idiom would be lost in the translation, then it would be understandable. But in this case, the original title, Kumonosu-jō seems far more evocative when you use the literal translation, “Spider’s Web Castle.” Someone in charge of marketing this film for the English speaking world clearly disagreed. Maybe they thought it sounded too much like a Hollywood monster film with that title. There isn’t even a consistency among the works of a particular director. To stay with Kurosawa, many of his films, like Seven Samurai are known by the English title, but others such as Ikiru or Kagemusha are exclusively known with the Japanese title. My friend put to me the case of the French film Murmur of the Heart (which I have not seen). In English, the title has a non-standard syntax for the adjectival noun, which mirrors the French syntax closely. The resulting poetical lilt to the title may or may not have been intended in the original French, Le souffle au cœur. The film’s protagonist suffers from the medical debility of a literal heart murmur. Does the title, Le souffle au cœur, have the same clinical sound to the ears of a native French speaker that the English Heart Murmur would have? Are there any other examples of oddities in the translation of Film titles? Feel free to share in comments below. Posted on June 10, 2015 March 23, 2017 by Joshua Wilson	This entry was tagged Akira Kurosawa, Movie Titles, Translations. Bookmark the permalink.